It is with great pleasure the Newah Organization of America (NOA) cordially invites you, your families and friends to attend its 17thAnnual Convention and General Meeting. This year’s theme for this convention is “Newah Culture and Heritage – Empowering Women through entrepreneurship”. The Chief Guest for the event would be Ambassador H.E. 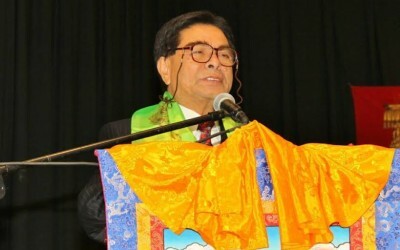 Arjun Kumar Karki, Embassy of Nepal. The Convention organized for this year is going to be interesting and informative. Mrs. Ambica Shrestha, our Special Invited Key Note Speaker a renowned and prominent entrepreneur of Nepal. Mrs. Shrestha is the President and owner of The Dwarika’s Hotel known for its majestic architecture, use of traditional artifacts, artistic indoors and brilliant woodcarvings that reflects the Nepalese identity. 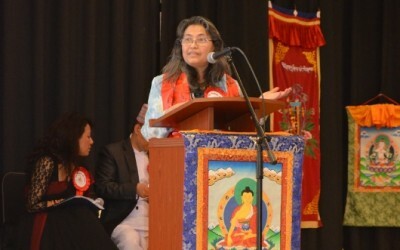 Mrs. Shrestha also serves as the head of Nepalese Heritage Society and Business and Professional Women Nepal and works to preserve the cultural heritage of Nepal and uplifting of underprivileged women. Mr. Scott H. DeLisi, former US Ambassador to Nepal, a big contributor to Nepal in making a difference in numerous ways through the Soarway Foundation in Nepal. NOA has the honor of having Mr. Anil Shahi from Nepal, a renowned music composer and fusion guitarist, better known to us as the “Sultan of Strings” performing at the culture program of 17thAnnual Convention and General Meetings. NOA 2018 Convention and General Meeting will be an interactive and vibrant program. We have talented and renowned artists from the DVM (District of Colombia, Virginia & Maryland) area, along activities for kids and culture shows by NOALC students. All celebration is complete with traditional Newah hospitality and cuisine – Samay Bajee and Bhoye (Dinner). Please visitwww.newah.organd www.facebook.com/groups/newahs/for more information. Thank you in advance for your continued support. Please bring your friends and families to this convention. We look forward to seeing you at the convention.